Once again, we return to the topic of the ODROID-XU3/XU4 and Sega Saturn games. 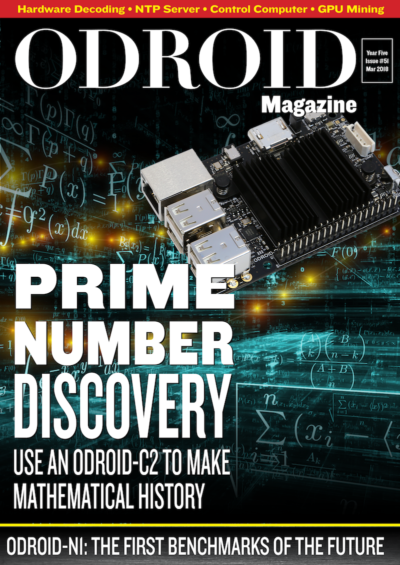 I have compiled a list of fun games I enjoy playing on the ODROID. As many of the games for the Sega Saturn were arcade ports, this article will also be full of shoot-’em-ups (“shmups”). 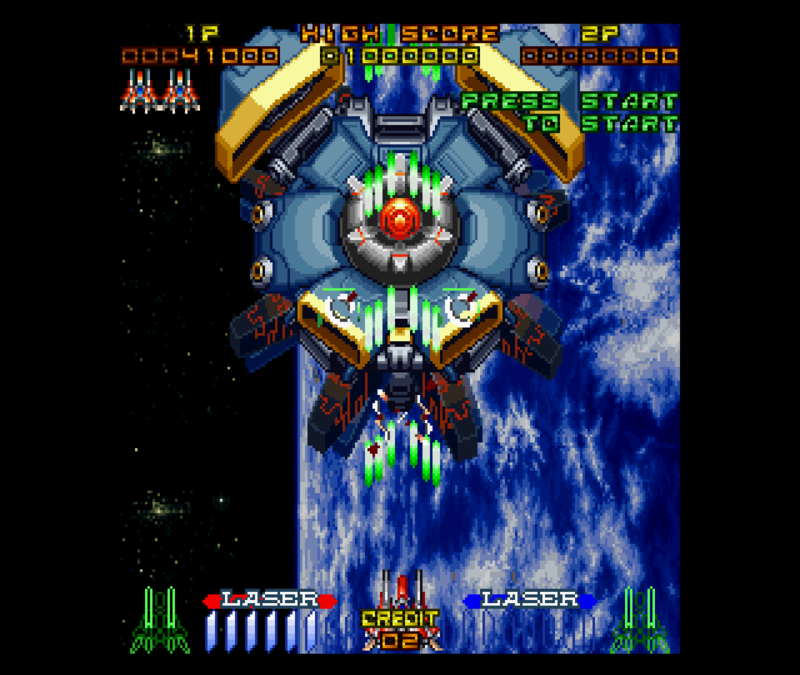 Galactic Attack, also known as Layer Section, is an arcade shooter where you fight on different planes (layers) at the same time. While you have regular guns to shoot targets in front of you, you also have missiles that can be aimed at ground targets. To do this, mark them with your crosshairs and hit the second fire button. You can choose up to six target at once, launching six missiles at one or several individual targets. Although it can make your life a lot easier, most of the time you don’t need to attack ground targets. 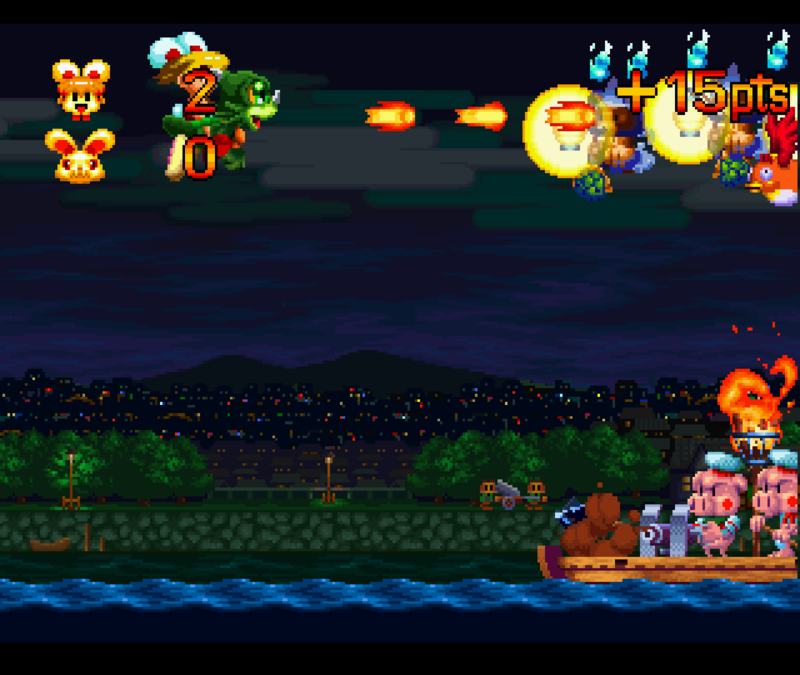 However, when you fight each stage boss, you are often required to use both regular attacks and missiles in order to defeat the boss. The boss fights are rather nice and and not too extreme of a bullet-fest. You’ll find out quickly what hard-points you’ll need to aim for when shooting or launching missiles. If you play with frame skipping turned on, the graphics and animations may seem really jumpy. I didn’t like that much, so I turned off the frame skipping completely. The game runs a lot slower that way, but the animation is smooth and the slower speed gives you some extra time to plan your moves. I personally did not have an issue with the slow game speed, though others might not like it. 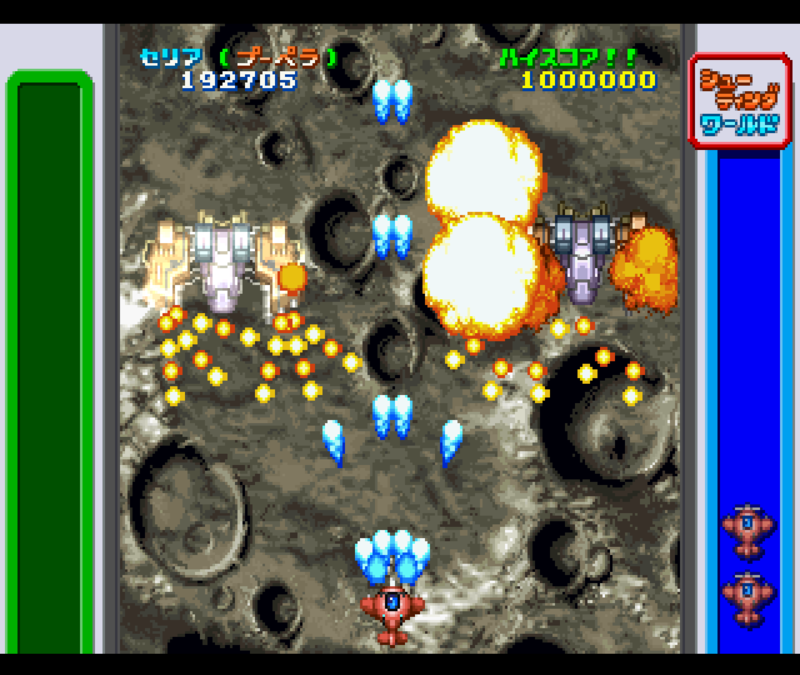 This game is also available for MAME (or FBA) under the name Gunlock, which runs a lot easier on the ODROID, but misses the CD-quality soundtrack. There is a sequel called Layer Section II for the Saturn that is fully 3D and uses lots of mashing for transparency which, in my opinion, doesn’t look very good. It does work better with frame skipping and is probably the faster of the two games when played on the ODROID. 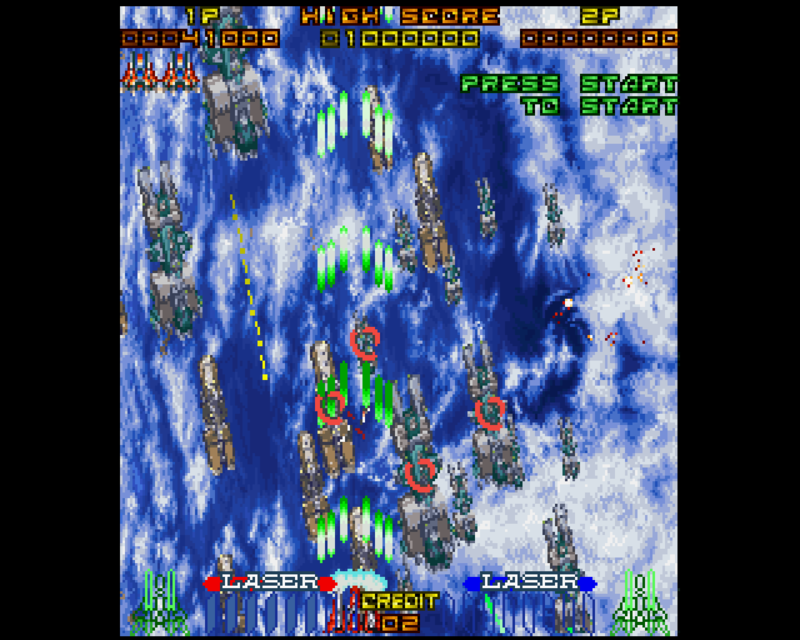 Layer Section II was ported to the PlayStation under the name RayStorm which, if you ask me, is the better version for running on ODROID, compared to the Saturn version. The Sega Saturn version is quite nice due to the CD soundtrack and the slower game speed when you disable frame skipping makes gameplay a bit easier compared to the MAME version. 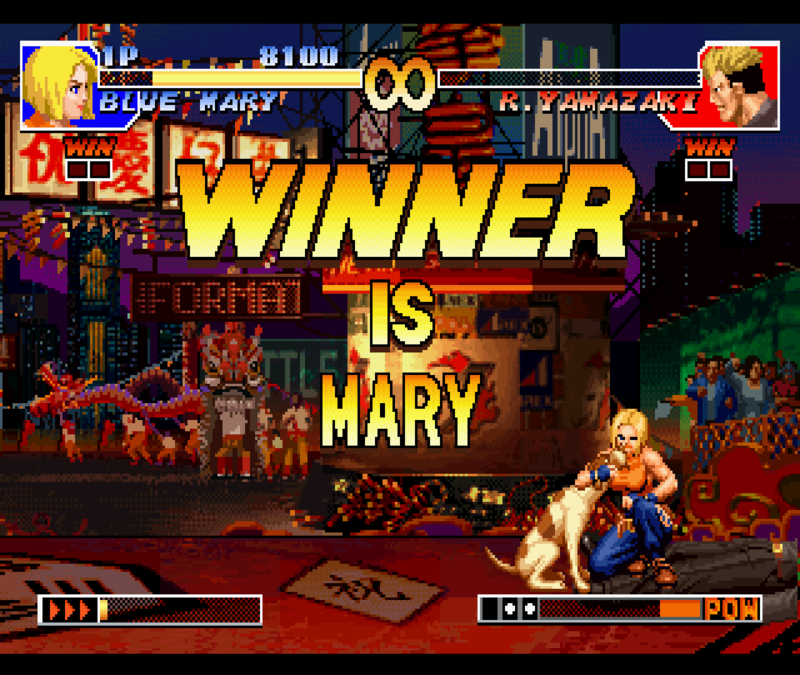 If you want the full arcade experience, playing Gunlock under MAME or FBA is probably the best option. This unique game has you play an arcade shooter inside an arcade. You actually fly inside an arcade, and inside other arcade games: racing games, space shooters, and the like. 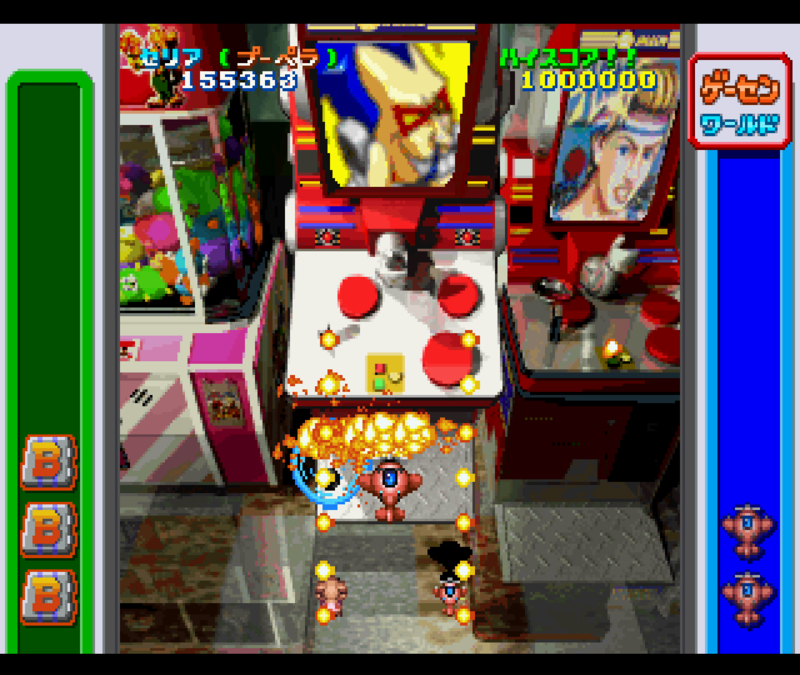 This game seems to only exist in Japanese or directly for arcade machines (MAME), although the Sega Saturn game offers a lot more than the arcade version. 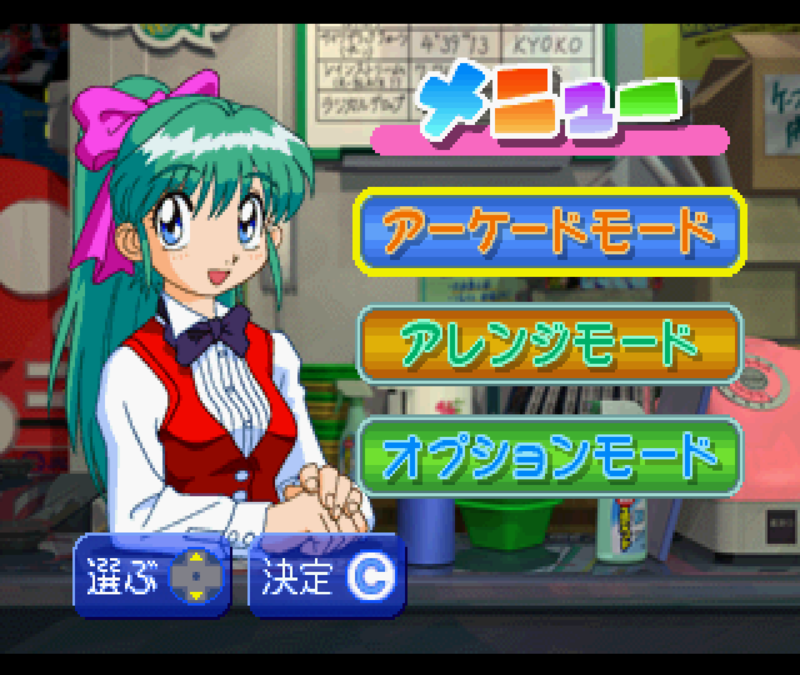 While the arcade version goes directly from the title screen to the game, the Saturn version offers additional features, as you’re greeted by a cute, nicely animated anime girl. 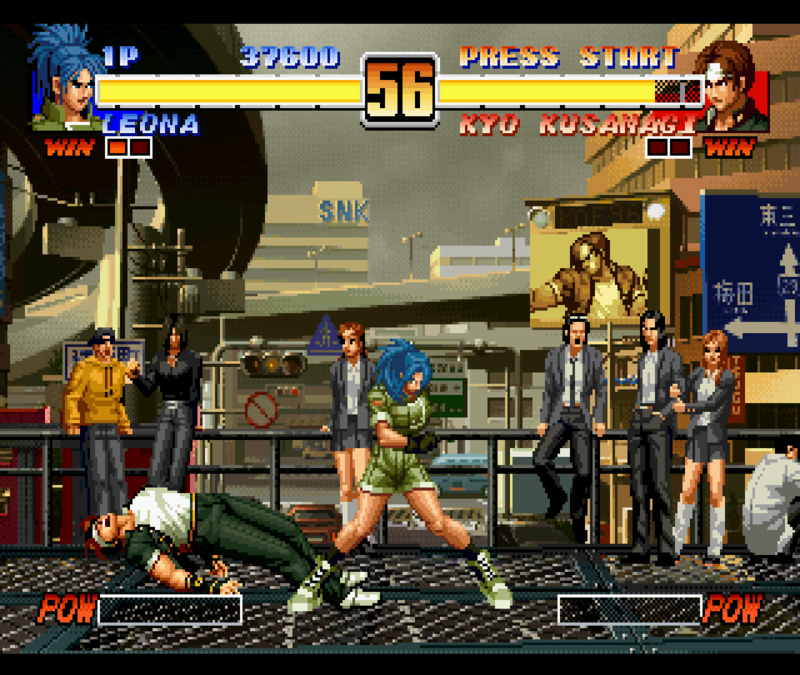 The first option takes straight to the game, which is mostly the same as the arcade version, although you still get to select play style, including the choice of vertical or horizontal scrolling. Be careful though, as selecting horizontal play flips the game controls accordingly. If you select the second option in the menu, each level will feature an anime cutscene that tells some of the backstory. Since I don’t speak Japanese, I don’t understand much but the animations are cute and fully voice acted, which are things that are not available in the arcade version. The third menu option lets you select different settings such as button layout, sound, and music. Aside from that, it’s your regular Japanese bullet-fest, which means you probably going to die often. Luckily, the game offers unlimited continues, which is quite handy. The arcade version of this game must have been very expensive to play. This game has both mid-level bosses and end bosses. If you take too long to defeat the mid-level bosses, they may actually escape. The end-boss will always be there until you finish it off. The game is fun to play and frame skipping works fine without any jumpy screen, though I prefer to play it without frame skipping for the slower reaction time. You can select between five different fighters, all of whom have different weapons. You have your primary attack which is a forward-facing attack using different types of projectiles; a charged attack if you hold down the fire button for a couple of seconds, and your special attacks (bombs) that you can trigger with another button. Your special attacks are strong and defeat the bosses rather quickly. 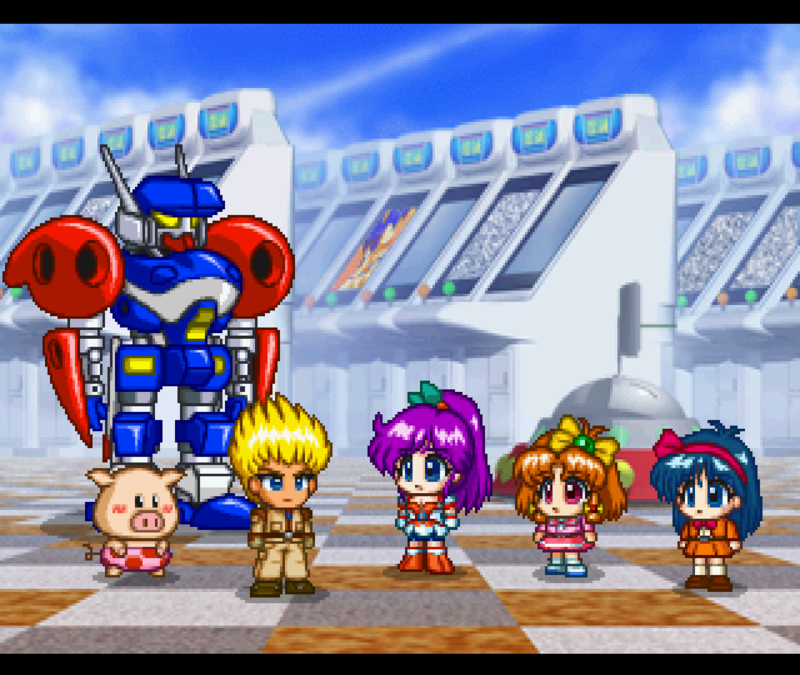 Game Tengoku got a fully 3D sequel for the the PlayStation with the ability to play with up to five people, but the sequel lacks the anime cutscenes between levels, although there are a few video cutscenes, also anime styled. I don’t particularly like the PlayStation sequel, although it is easier than the Saturn or arcade version. If you die and use a continue, you start at the beginning of the level, and you still die quite often. 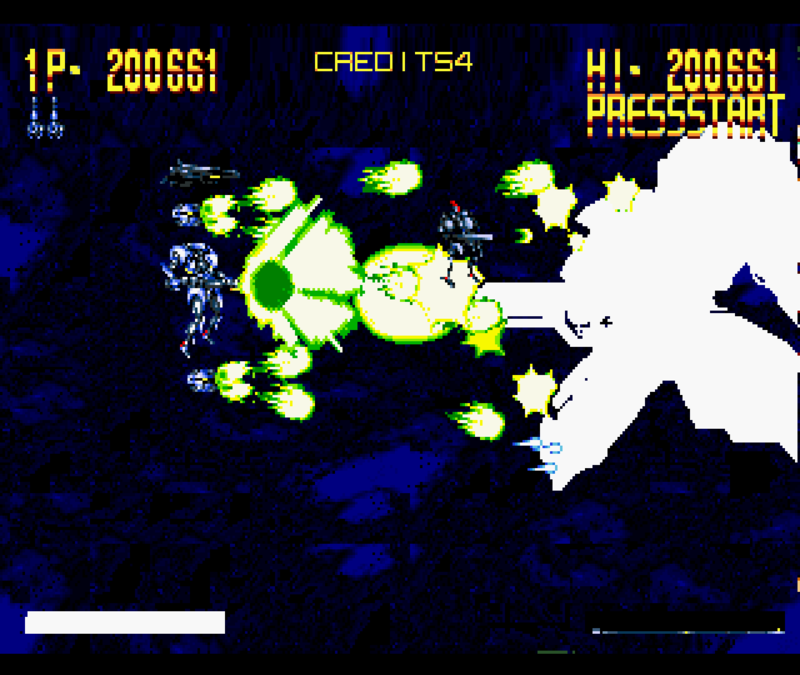 The sequel introduces a second layer of attack where you tag an enemy with a crosshair and then launch a third attack on them, similar to Galactic Attack, but it’s neither required nor very helpful. Additionally, you can no longer see if your “charged attack” is actually charged, and instead have to guess if it’s ready, which is quite annoying. I prefer the Saturn/Arcade version over the PlayStation sequel, even though the Playstation sequel has updated graphics that look quite nice. 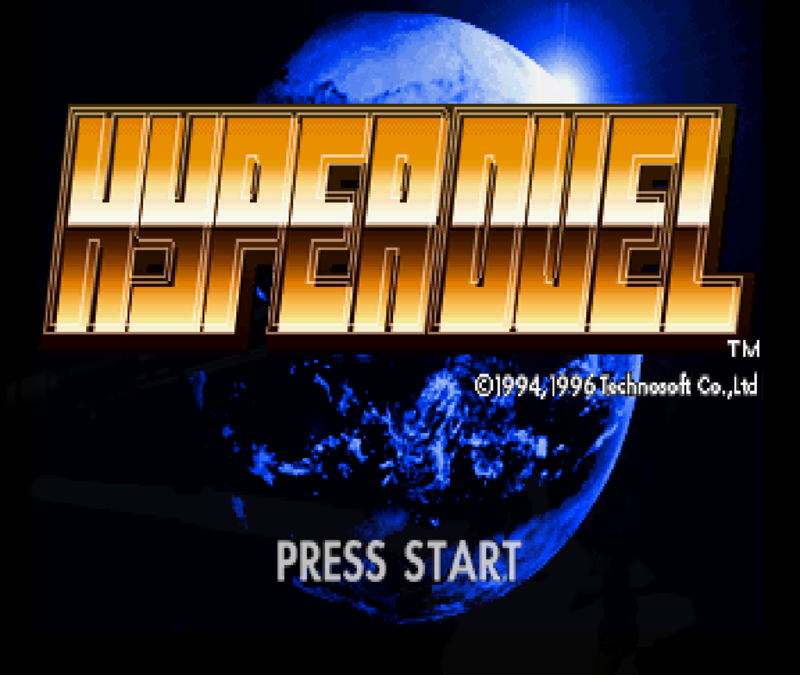 Hyper Duel is pretty straightforward shmup with everything you expect from a representative of this genre. 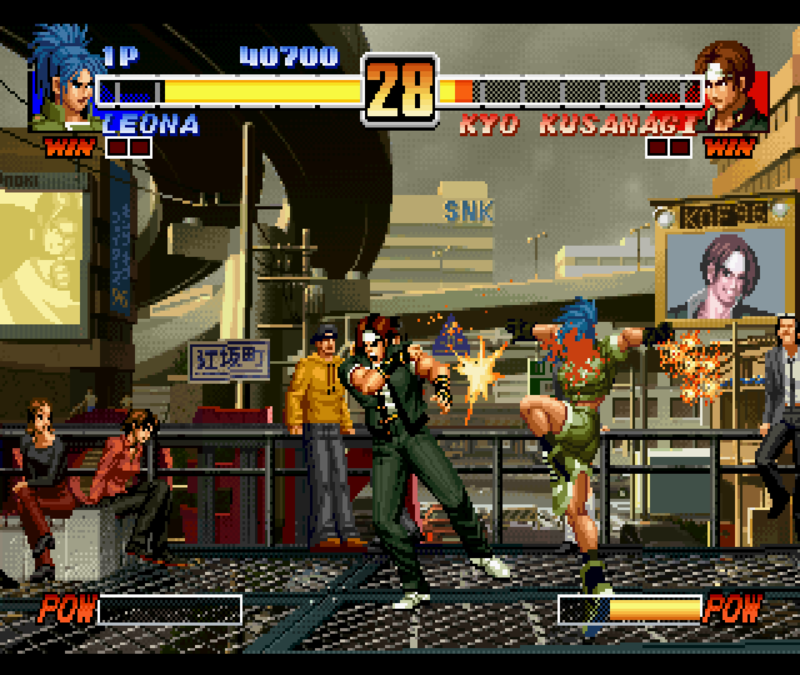 It has both an Arcade mode and a Saturn mode. You can adjust the difficulty level, number of lives, and number of continues (1-5). You can select one of three fighters, each of which have different primary, secondary and special attacks. The secondary attack, which transforms your fighter into a mecha, is more powerful attack but also makes you bigger, slower, and easier to hit. Pressing the first and second attack button at the same time launches your special attack which can be performed either as an aircraft or a mecha, with slightly different results depending on what form you’ve chosen. In aircraft mode, your special attack is more widespread which allows your to hit multiple targets at the same time. In mecha mode, your attacks are more focused, allowing you to deal more damage. 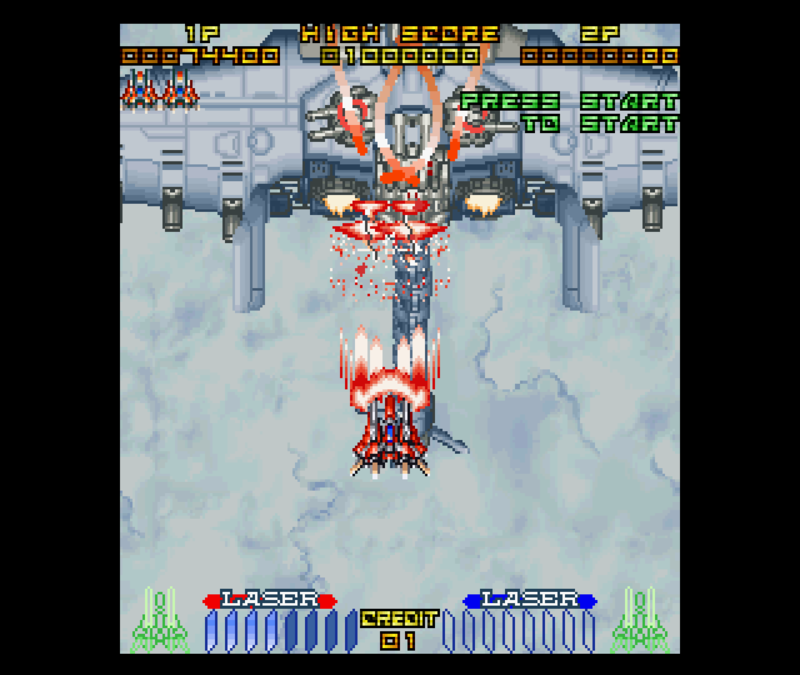 Unlike other shmups, special attacks don’t do vast amounts of damage. Rather, they are a supportive attack that does extra damage, allowing you to double or triple your firepower. Instead of allowing you a set amount of special attacks, your ability to use the special attack is based on your energy levels. This allows you to decide how long and how often you want to use the special attack, providing you have a sufficient store of energy. Aside from powering up your main weapon, you can also collect support units. 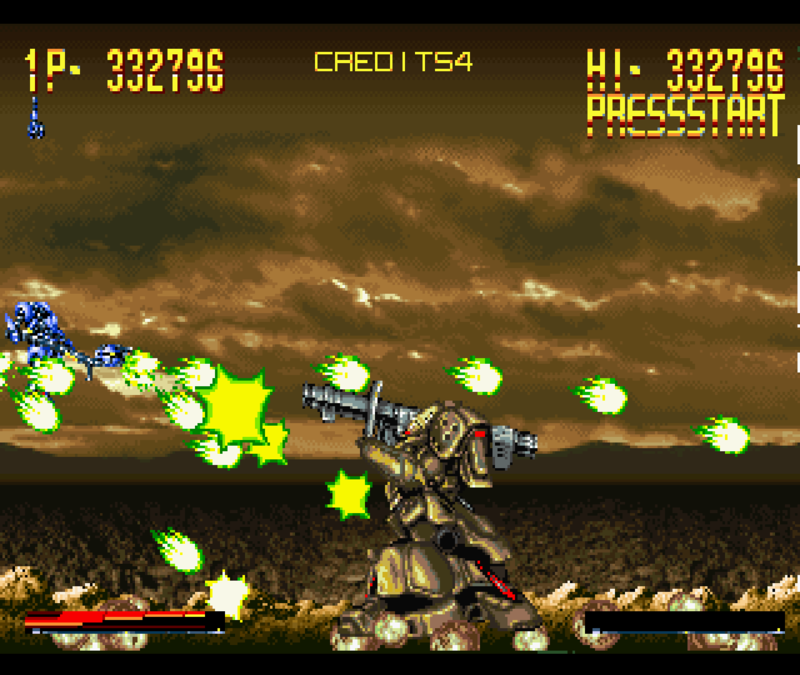 You’re able to collect up to four aircraft or mecha (depending on what you item you collect), which accompany you in the background until they are destroyed. The game has incredibly animated backgrounds that feel more alive than other games. 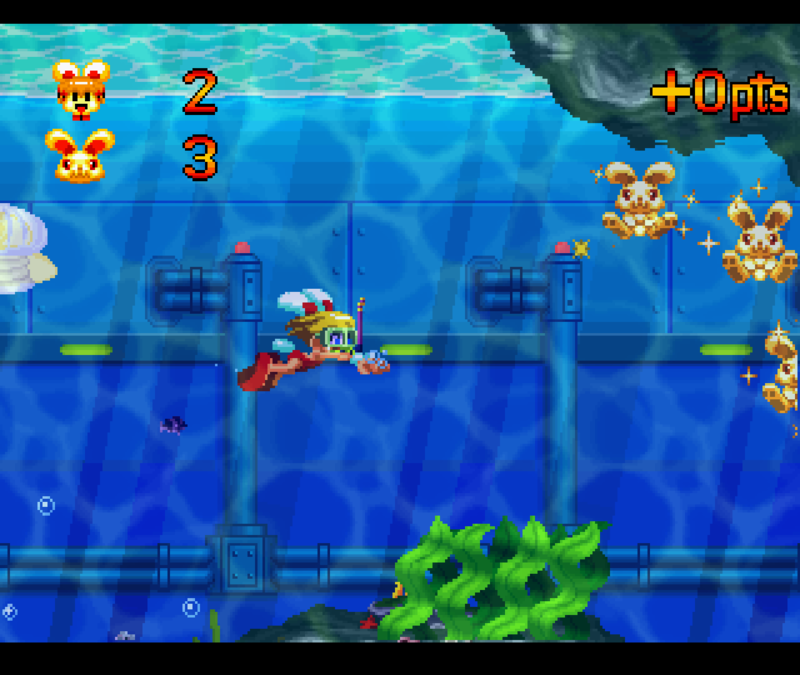 Some levels work fine with or without frame skipping, while in other levels frame skipping cause jumpiness. Again, I preferred to play the slower mode without frame skipping. 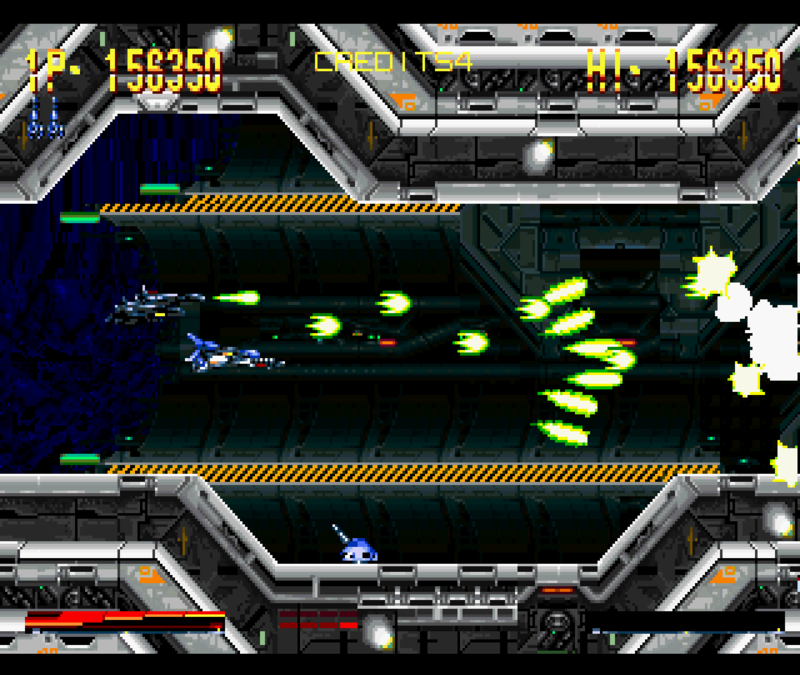 Hyper Duel is also available for MAME, but as it came out several years prior to the Saturn version, it does not offer features such as the CD soundtrack or “Saturn Mode”. Aside from that, it’s a near-perfect arcade port. 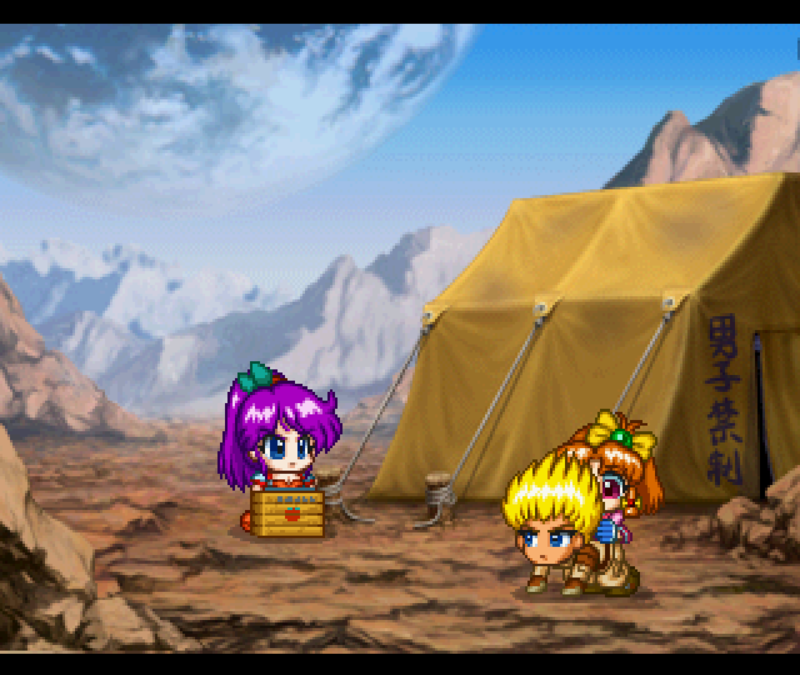 I’ve actually beaten this game on the ODROID, and I really enjoy playing the Sega Saturn version. 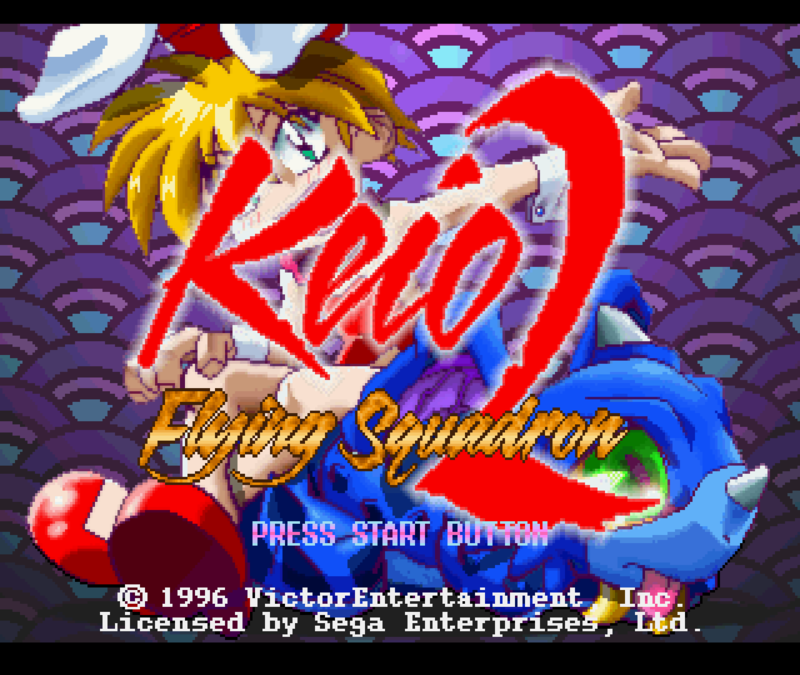 Keio Flying Squadron 2 is a little bit difficult for me to describe. It combines jump and run platform puzzles with other elements, such as side scrolling shooter action. This game is amazing, and I especially love the bright colors and cute anime style. Occasionally you fight your bosses in their own stage. There are a lot of bonus stages where you can collect points, if you’re good enough. I normally lose points, instead. One reason I like this game is that it offers many different environments to play in. There’s no playing in the same location for hours and hours on end. Instead, play switches from one location, and often one play style, to another. 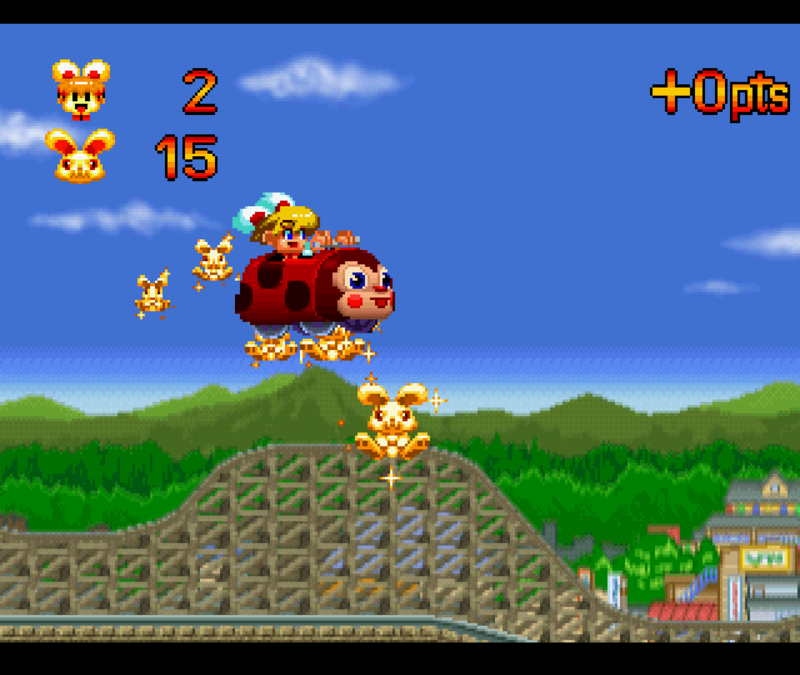 There are scenes where you simply walk and jump your way through each level, while in other levels you ride on a train or in a roller-coaster wagon. You collect different weapons and other items to help along the way. For example, there is an umbrella which protects you from falling objects as well as letting you glide for a short distance when you jump. You can use a bow to hit enemies from a distance, or a hammer if you prefer to get close and personal. Collecting 100 golden bunnies you get an extra life, and look out for hidden paths and chests that hold an extra life or other useful items. 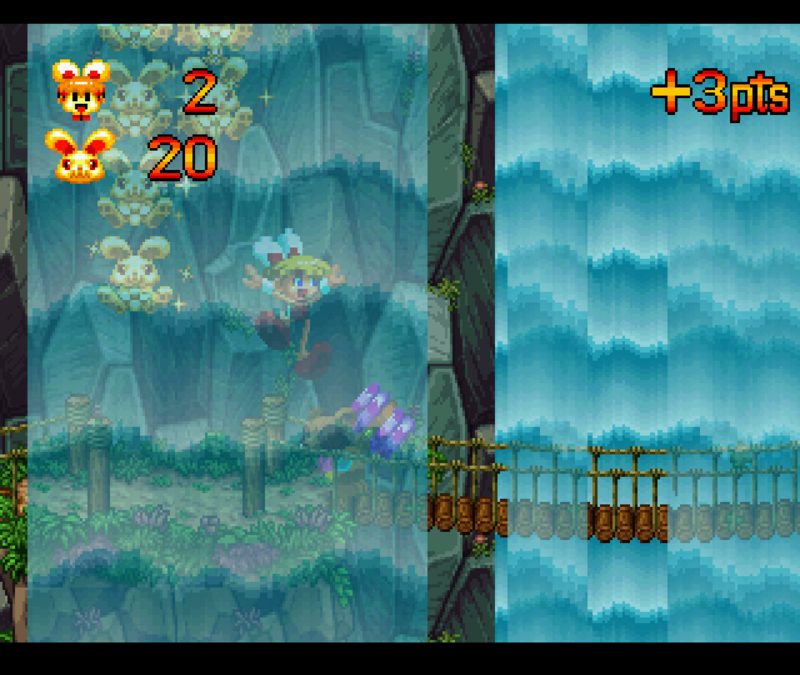 The game is quite demanding, performance-wise, especially with transparencies like the waterfalls in the first level. Frame skipping is a must have. You may notice some scrolling issues. Turning left to right, or right to left, the screen scrolls to the side and this can be a little bit jittery, but the game itself plays rather well, although better performance would be nice. If you like run-and-jump games and can deal with the frustration of puzzle-solving, I highly recommend this game! 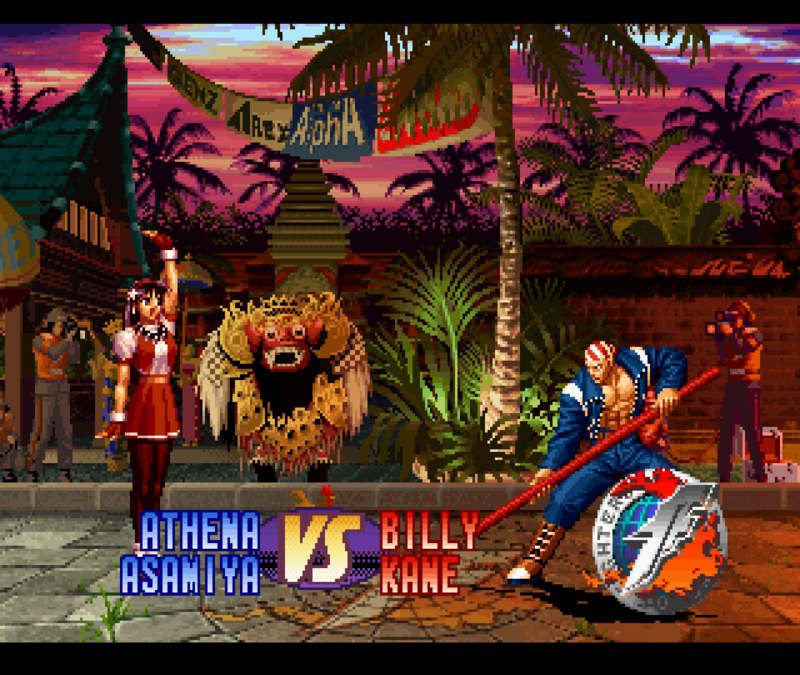 The Sega Saturn had many arcade ports, which means we can play the famous King of Fighters series on the Sega Saturn and let me tell you, it plays really well. 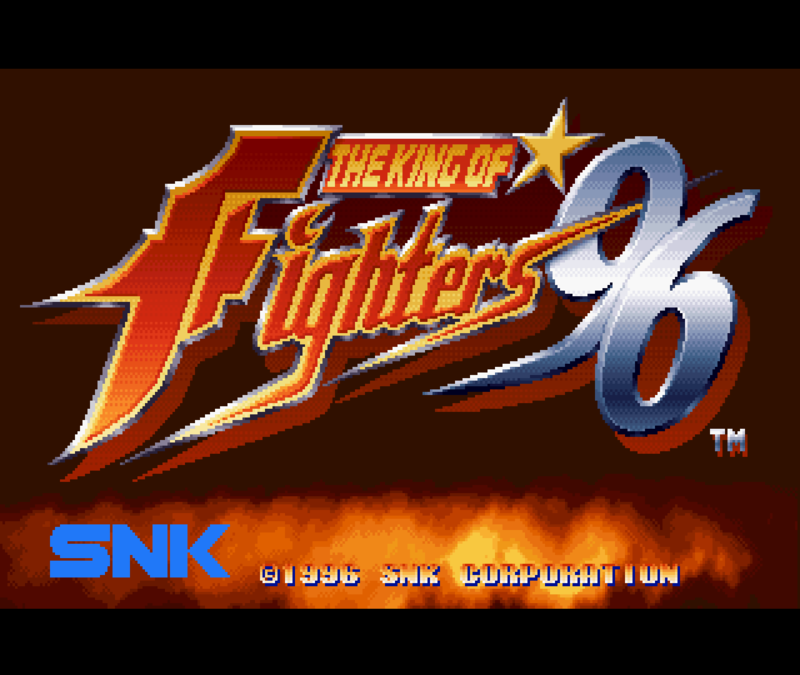 King of Fighters is actually one of the few games that require or benefit from memory expansion for the Sega Saturn. 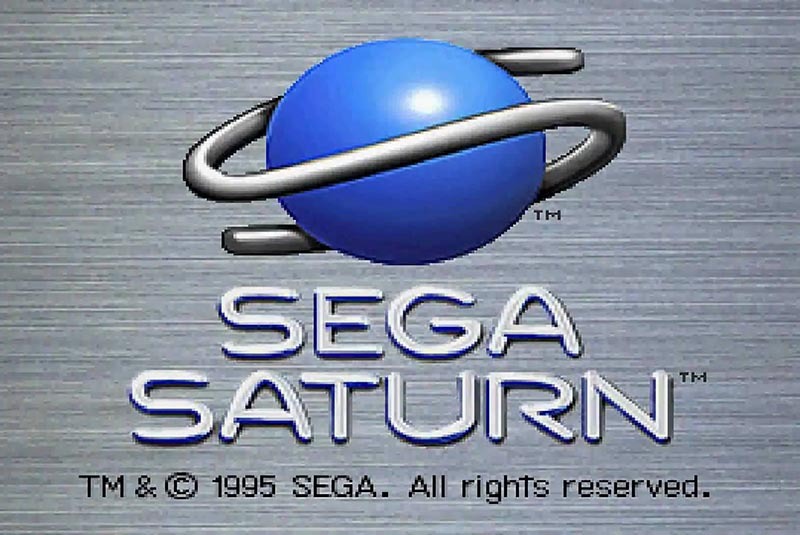 There are two Memory expansion cartridges (8Mb and 32Mb) available for the Sega Saturn, which increases the Sega Saturn memory from either 1MB or 4MB depending on the extension. 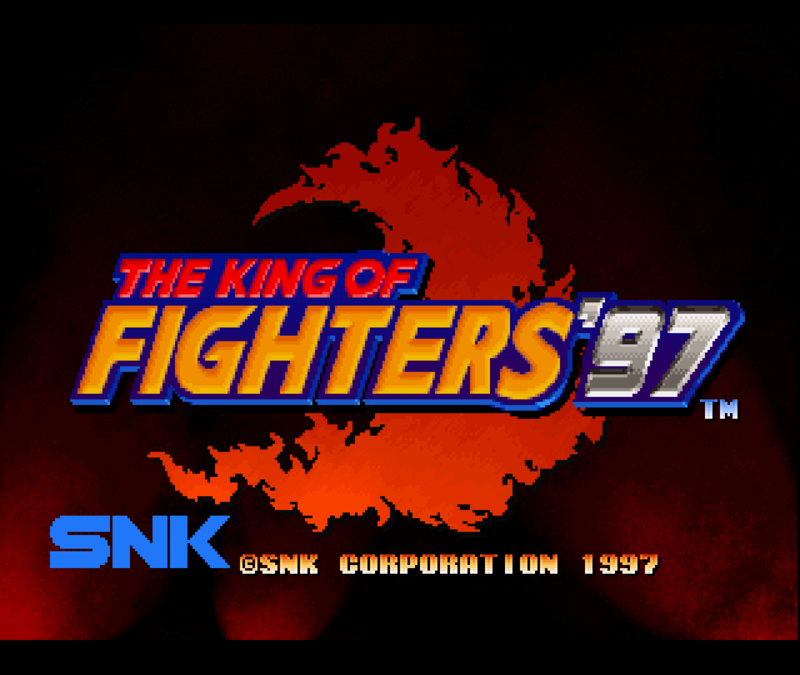 While King of Fighters ‘96 only works with the 1MB expansion (4MB causes graphic issues), King of Fighters ‘97 actually supports both expansions, although only 1MB is required. 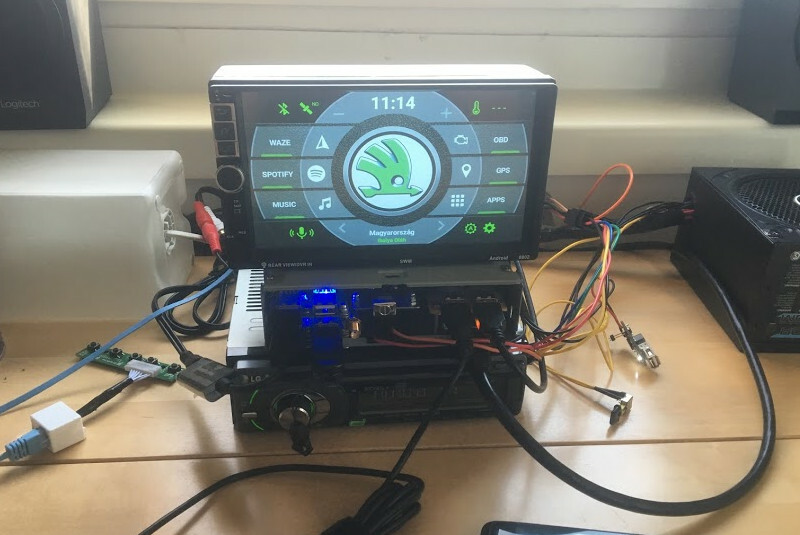 Both games work really well on the ODROID. Both games are also available for Neo Geo and play pretty much the same, although the Neo Geo versions are more fluid. Still, it’s a very good arcade port and worth playing. It’s hard to decide which is the better version, ‘96 or ‘97. I like them both. In my opinion, it’s one of the better fighting series. As the Saturn has many arcade ports there are bound to be more of these in the future. Guardian Heroes is a nice beat-’em-up, similar to Streets of Rage or Golden Axe, but in a fantasy setting with knights, wizards, skeletons, and so on. I really like this game and planned on going more into detail. Sadly, it freezes on the second stage, rendering the game unplayable. I hope a newer version of Yabause will fix this, as this is a fun game to play and I would love putting it on my list of favorite games for the Saturn. Sadly, this game is only available in Japanese and since I don’t speak Japanese, I don’t understand what I have to do. The game itself looks gorgeous, with colorful anime-style graphics and bright warm colors. It’s also very demanding, so there’s a lot of frame skipping, which you see in your character animation, but the game itself works rather well. I have a feeling that if I understood Japanese, this would be a very fun Action Role Playing Game (ARPG) to play. If you understand Japanese and like RPG games, I recommend trying this game. This one is a nice remake of Lode Runner. Although only available in Japanese, it is a lot fun to play. 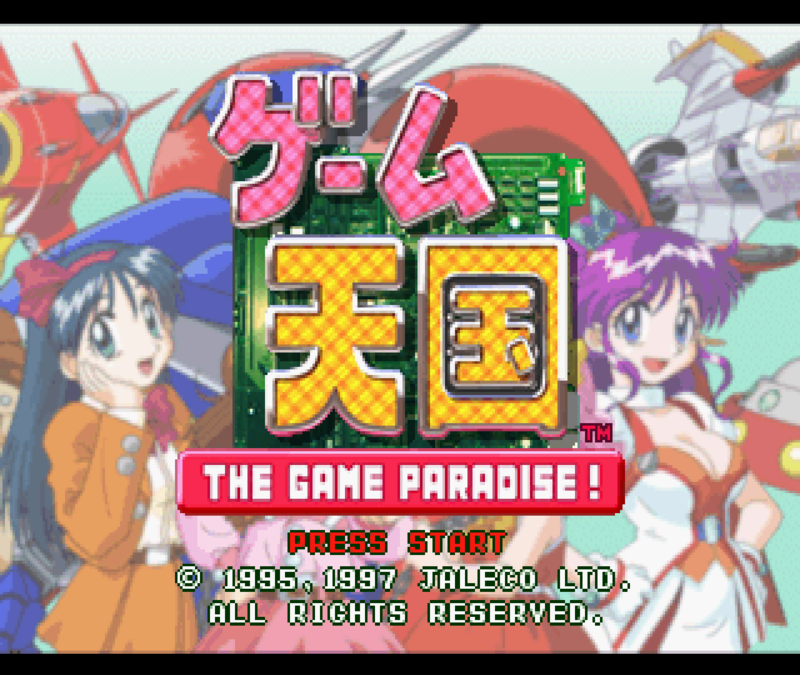 I enjoyed it quite a bit, but as it is just a little puzzle game I don’t consider it a “must have” for the Saturn. Still, it’s a nice game and plays perfectly fine on the ODROID. If you like these kind of puzzle games I would highly recommend it. Loaded is a nice third-person top-down shooter similar to the old Alien shooters for the Amiga, where you run through level open doors, kill enemies, and collect key cards to open more doors until you have enough key cards to exit the level. You can select one of six characters with different weapons and special attacks. There are also items you can pick up such as health packs, ammunition, or weapon upgrades. The graphics feature 3D environments combined with 2D characters sprites, making it look a bit dated, but it’s still quite fun to play. If you like some top down shooter action grab it and try it, it’s works very well on the ODROID-XU3/XU4.